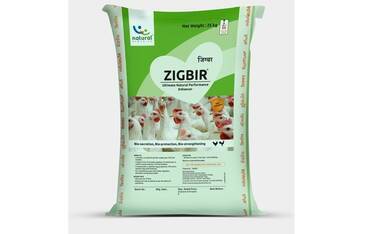 ZIGBIR is a natural supplement for which is proven to improve bile flow, brush border enzyme secretion for better digestion. Polyherbal actives present in ZIGBIR act as gut stimulant & Liver tonic for improved absorption & metabolism. 250 g/ton of feed. Inclusion rate can be altered as per the advice of a nutritionist.